Entirely manufactured in Japan, MAC knives are a combination of the best in Western design and Japanese knife-making craftsmanship. Every knife is shaped, assembled, polished, and sharpened by professional Japanese craftsmen in a series of up to 64 steps to guarantee that every knife is a flawless precision tool. 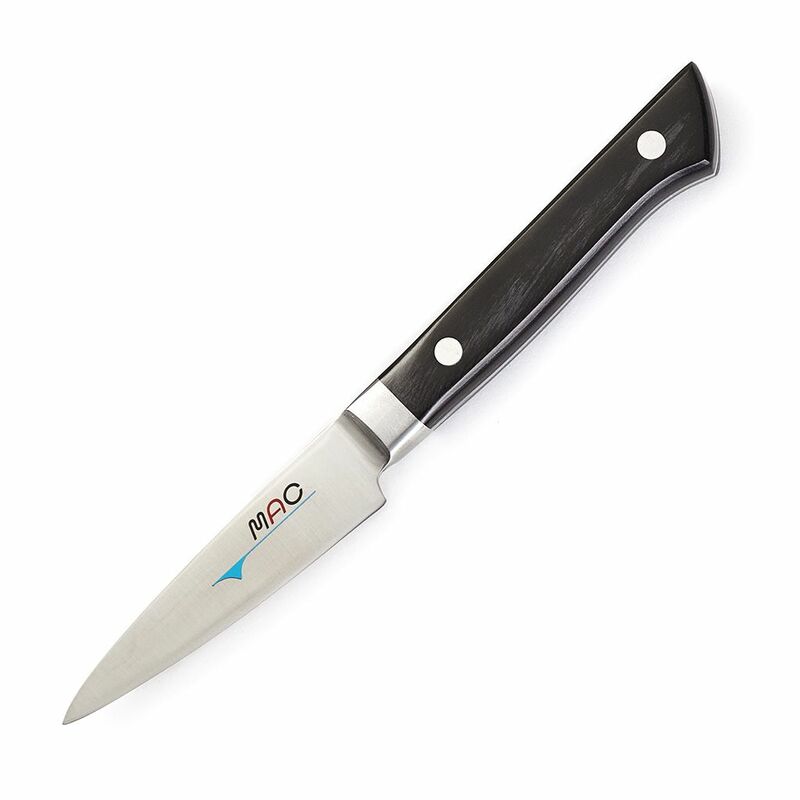 MAC produces a large variety of quality knives, and is said to have a knife for any cooking purpose. 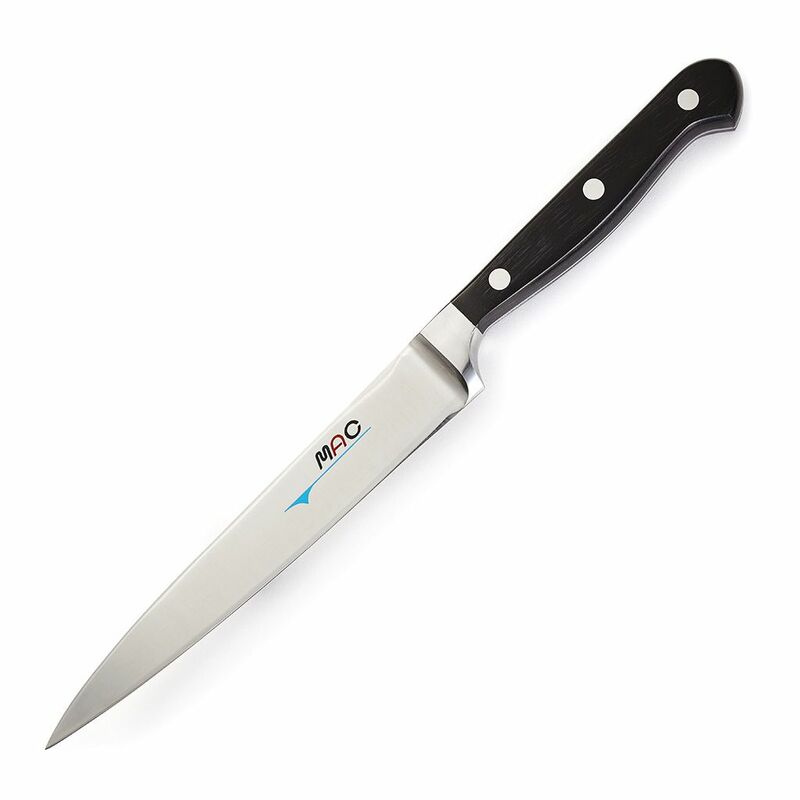 Every knife is razor sharp with comfortable handle and great balance. 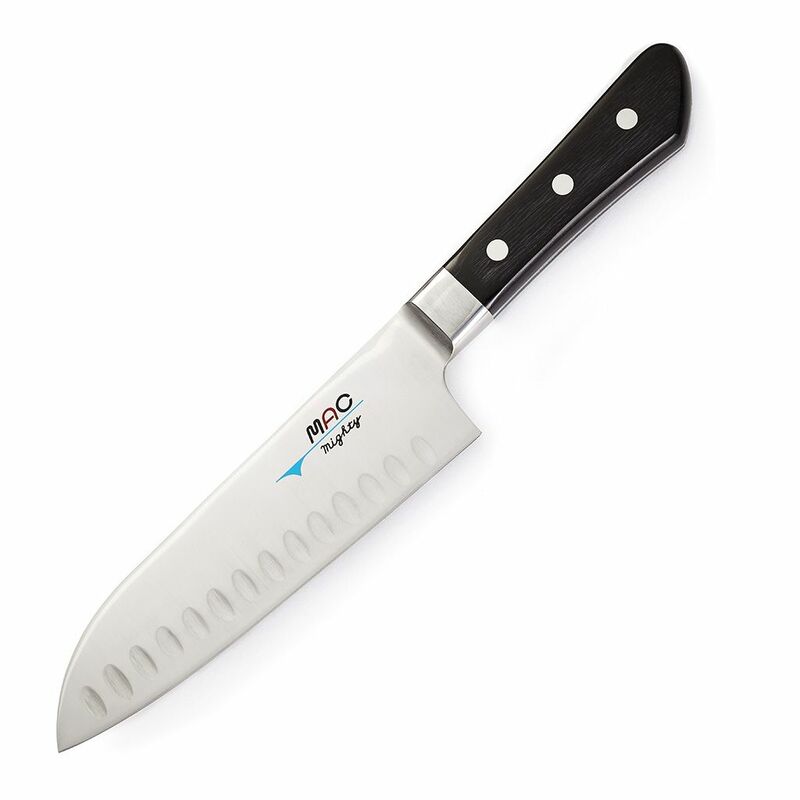 All western models of MAC knives have blades made of rust resistant high-carbon Chrome Molybdenum Vanadium alloy, with Tungsten added for selected models to increase hardness even further. Extreme care is taken to keep down the temperature of the metal during the grinding and sharpening process, thereby optimizing the hardness of the finished blade.